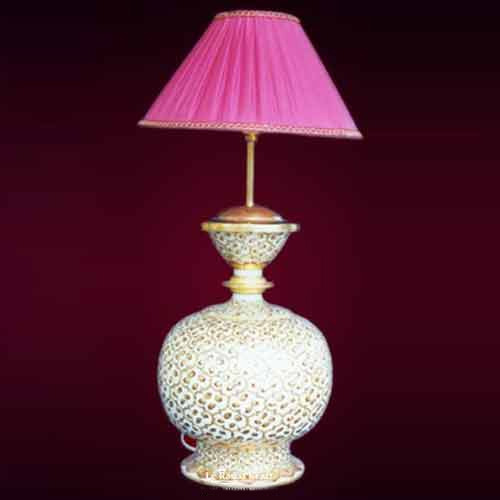 Marble Minakari Table Lamp offeredcomes in exciting finish patterns as well as feature breathtaking crafting work finish which makes these highly desired and demanded by one and all. Available in options of different pleasing designs, the excellent finish of these marble stone based table lamps also help in adding a rich décor value to the interior spaces. Some of its features include excellent choice as gift item; featuring ultimate designing and craftsmanship support; stunning looks and attractive designs; provide value as an exclusive show piece for your drawing rooms.